From the moment they enter through the imposing Golden Gates your guests will be impressed by the choice of location for your corporate golf day. Bowood prides itself on its unbeatable service and great value corporate hospitality packages. Our dedicated Golf Group Co-ordinator, supported by a superb team of Golf and Banqueting Professionals, ensures that all your guests have a day to remember. 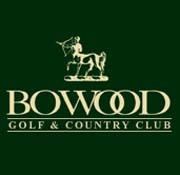 Owing to the reputation of the course and its fine surroundings, Bowood has become Wiltshire's most popular venue for corporate golf days. Group sizes range from 12 to 160 guests. Whilst we do have specific packages, please note that we seek to meet all your requirements and our Hospitality Staff are experienced in organising all types of day. We specialise in event management packages, our Professional Golf Staff greet your guests, prepare and mark cards, maintain and update a scoreboard, set up and implement nearest the pin, longest drive and putting competitions and organise the prize giving. Special clinics, exhibitions and extra competitions can also be arranged. Full details can be found on page 4 of our Corporate Golf Day Brochure.